This post will compare IFB Senorita Aqua SX vs VX. Both these washing machines are selling well online. These machines have similar technical specifications. The price difference between the two is also not much. Both machines getting compared with a load capacity of 6.5 Kgs. This review will help you compare the two washing machines and select the right one for your household. If you are looking for a quick answer, you should go for IFB Senorita Aqua SX. For a much detailed answer, keep reading on further. ensures your clothes are washed properly with damaging them. Both machines also have an inbuilt foam control system to ensure that there is the right amount of foam inside the drum. If there is any excess foam built, this system helps to remove the same to ensure the clothes are washed correctly. Both machines have over 100+ combinations of the wash cycle. This gives you to wash the clothes as per your needs. There is also an option to add clothes to the wash cycle midway. However, the usability is not as good as the Samsung AddWash Washing Machines. 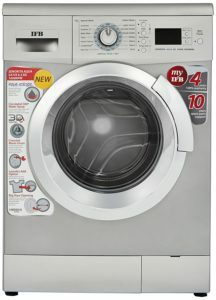 IFB also has a unique 3D wash system in these washing machines. This system circulates water from 360° to ensure a thorough wash of your clothes. This helps the washing machine to wash clothes easily, with less use of detergent. This also reduces the scale built in your machine, thereby increasing its lifespan. You can read more about best washing machines and water softeners that you can use in India for hard water. These washing machines have multiple features to ensure your and the product’s safety. The machines have a rat mesh filter to ensure no rodents make their way into the machine. These machines also have an easy to use child lock facility. This ensures your children are not able to access the door when you are not around. 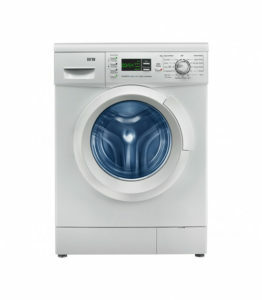 The auto balance function ensures that the wash load is always balanced. You do not have to worry about balancing the load while starting the wash cycle. The machine will start and stop the cycles to get the clothes balanced inside the wash drum. These machines, although they look different, have similar built quality. We will cover the differences below. The wash tub is made out of good quality stainless steel. The body of the machines is made out of metal too. The door of the washing machine has a sturdy hinge and feels really sturdy. IFB Senorita Aqua SX has a few extra wash cycles. One of the important features that Senorita SX has is the soak functionality. Both machines have the prewash feature, however, soak option is missing from VX. However, there is not a major difference between the two. You can easily carry out your daily washing need with either of these machines. The display panel on IFB Senorita Aqua SX is well designed and look really good. Even the button used on the SX model is better. The buttons on IFB Senorita Aqua VX have a relatively old finish. IFB Senorita Aqua VX is totally white in colour. It looks like your regular washing machine. While the IFB Senorita Aqua SX looks really premium. The model has a nice steel grey finish to it. The door has a chrome coloured finish. There only one thing that I did not like about these models. Both of them have a belt drive and hence make a little higher noise compared to the direct drive machines. If you are looking a good direct drive machine, you can consider LG FH0FANDNL02. Read our detailed review to find more about the product. Out of these two, I would definitely prefer the IFB Senorita Aqua SX model. The price difference is not much between the two model but you get a better finish and few other useful functionalities. I hope this review helped you select the right washing machine for your needs. Which one did you select SX or VX? Or did you select altogether a different washing machine? Do let me know in the comments section below.